Featuring 58 types of plant extracts, natural beauty of the skin will be brought back to you while ingredients like Vanillyl Butyl Ether and PEG-60 Hydrogenated Castor Oil are taking care of unnecessary fat. and smoothly working on the skin. > Can be used for every part of the body for fat concern. > Hyaluronic Acid and collagen for moisture retention, abundantly. what makes difference with other majorities. 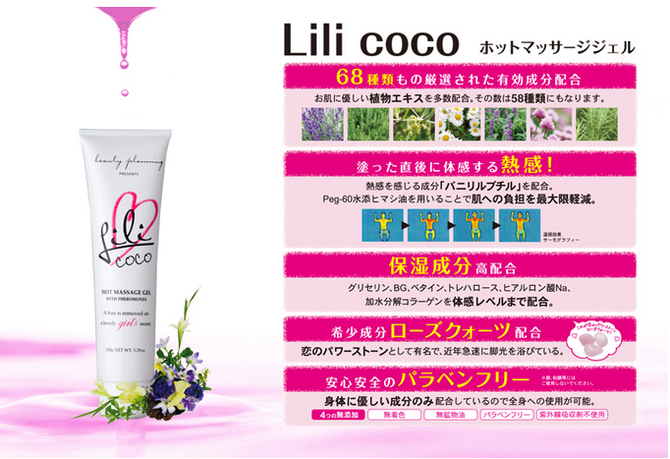 > Lilicoco’s beauty effects will be multiplied with the lymph massages. Reaching No.1 on Rakuten ranking! Lilicoco’s beauty effects will be multiplied with the lymph massages.